C# is probably my first “real” programming language. Pretty much I split my programming languages into two parts – “real” programming languages and VBA. I like the “real” part, because if I was given 1 euro every time someone has said to me “VBA is not a real programming language.” I would have about 5 euros more in my bank account. Which is not that much, but still it comes to show that there is some kind of a reason why plenty of people somehow hate VBA. Or those people were just haters. Anything is possible. Thus, back to the point, C# is my first “real” programming language. As such, anything new in any language I learn, I try to think how it would like in C#. That’s why I am trying to follow also the standards in the language and see what new is coming with from the .Net Framework. 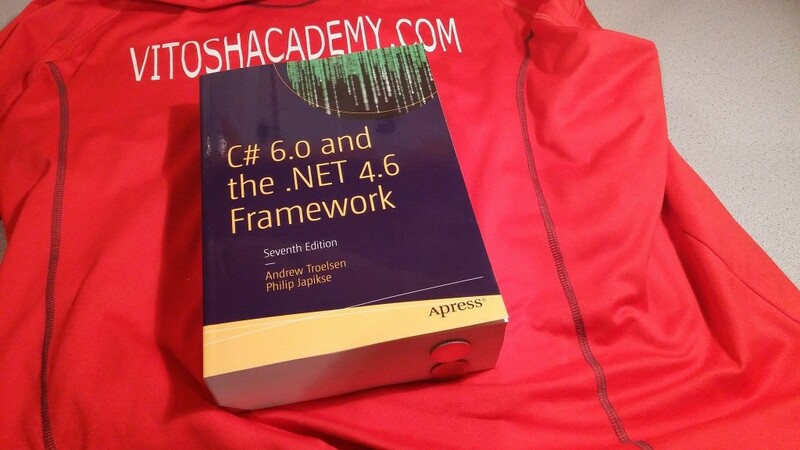 That’s why, when I have noticed the new book – C# 6.0 and the .Net 4.6 Framework (A. Troelsen, P. Japikse) of Apress.com, I have kindly asked them for a review copy and they have actually provided me with one. The book is really big, about 1600+ pages. If you take a look at the picture above, I have put two 2 Euro coins just for scale. It is enormous.